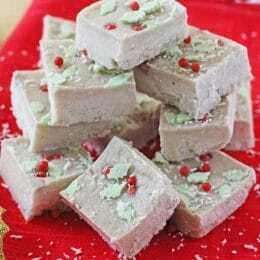 A super healthy Christmas fudge made with just two natural ingredients. It’s dairy and gluten free and has no added sugar! Hi, it’s Ciara here from My Fussy Eater. I am excited to be back here on Super Healthy Kids sharing some of my ideas and recipes for picky eating families. 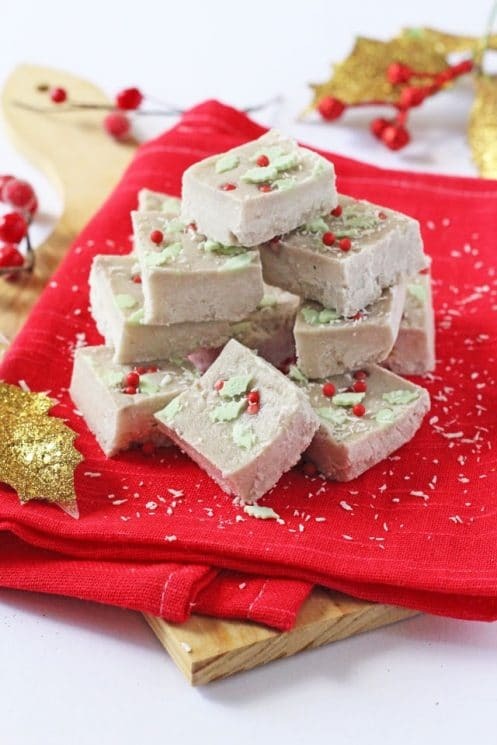 This month, with the holidays fast approaching, I am sharing my recipe for this super healthy Coconut and Banana Christmas Fudge! Whilst we all love to indulge at this time of year, I am still conscious of keeping my family’s diet as healthy as possible. Thankfully I’ve found the perfect solution that allows us to enjoy a sweet Christmas treat without lots of added sugar or processed ingredients. My Coconut & Banana fudge contains just two natural ingredients; shredded coconut and banana. This recipe does require a high speed blender to blitz the shredded coconut down and turn it into coconut butter. If you can’t do this you can use ready made coconut butter which you can buy in a jar from most health food stores. You will need to melt it first by placing the jar in a pan of hot water. Mix the butter with the banana, then follow the remainder of the instructions as normal. 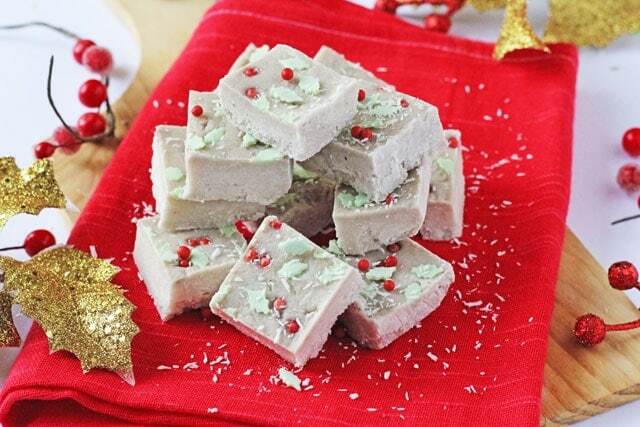 I love the flavours of the coconut and banana together in this fudge! You can also use the recipe as a basis for lots of different flavours. Try adding unsweetened cocoa powder for chocolate fudge or some dried fruit and nuts for a textured fudge. The options are endless! Let me know what you think. Or share a picture of your own kids favorite breakfast recipes. I’m always looking for new ideas! could you just use coconut butter instead of processing shredded coconut?